Steve Dewey has reached out to us to see if we can find the owner of this awesome car dipped in some type of candy red. 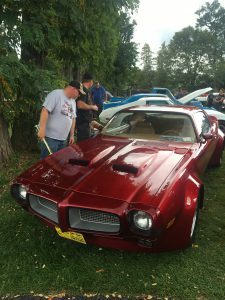 Steve met the owner at the ADK Nationals in Lake George this past September but neglected to get his information. Don’t let this be “the one that got away” for Steve. If you know the owner please have him contact us and we’ll connect him with Steve. I heard that story before. Sure someone will find him and bring him to his car.